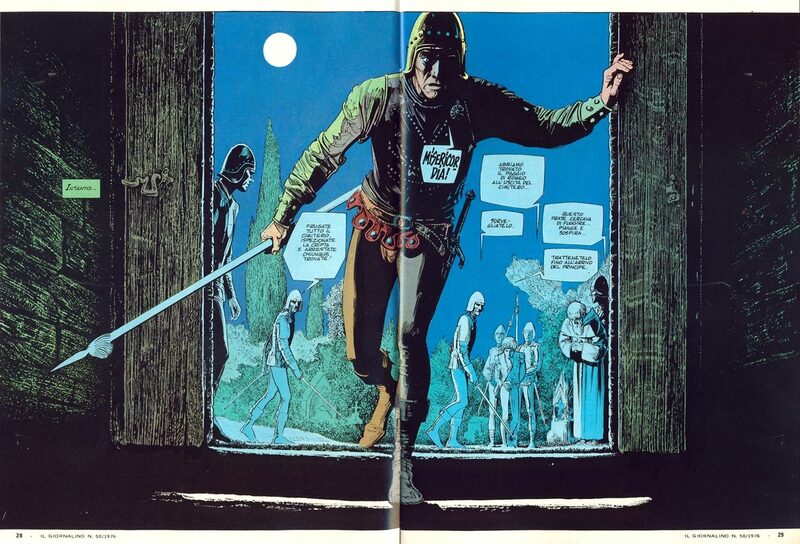 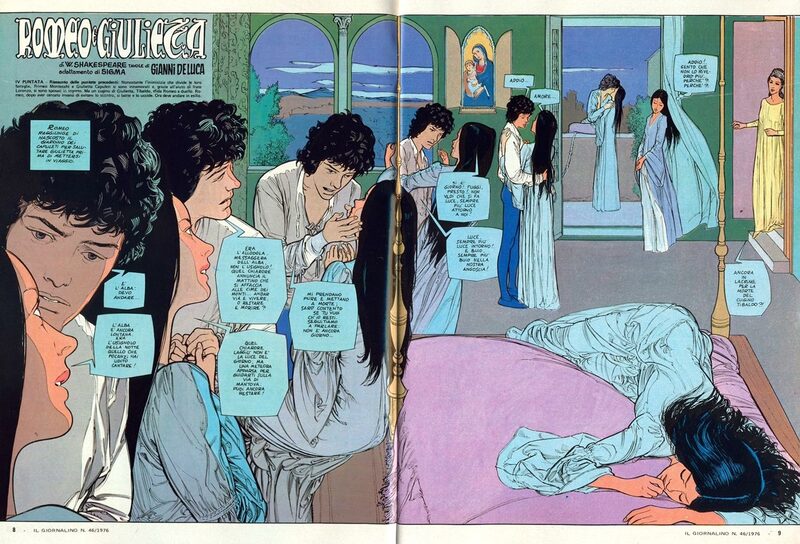 Gianni De Luca was an Italian comic book artist known for his drawing mastery and the variety of techniques he introduced into the comic art. 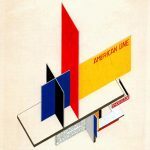 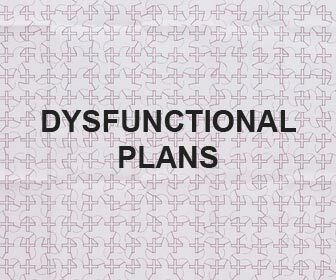 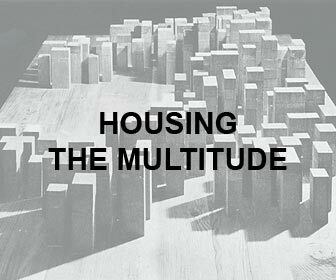 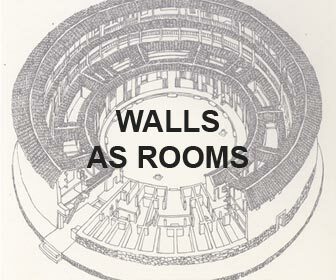 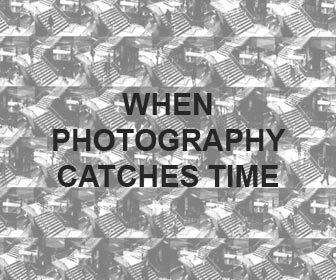 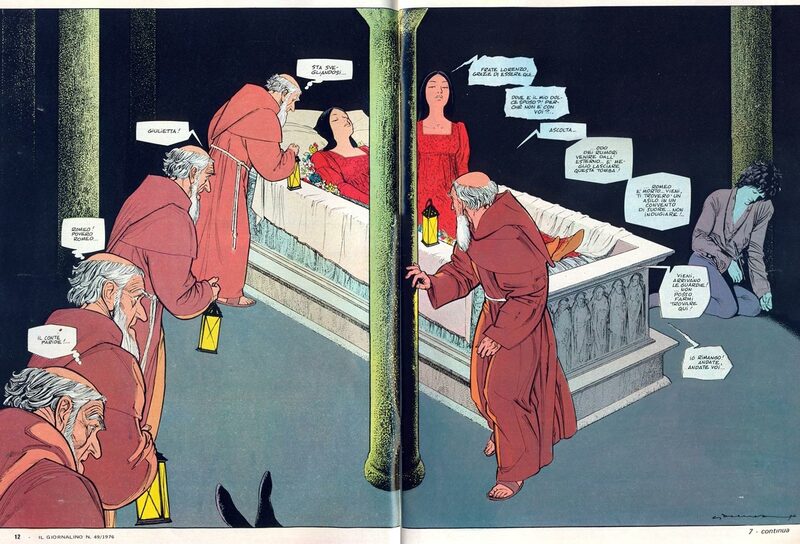 His works are formally revolutionary, but always for the sake of content: the representation of the movement, the solutions in the board’s layouts, the cancellation of the cartoon scanning for the “table-sequence”, the coexistence of pictorial and graphic techniques, are some of the experimental approaches he tested on some of his most famous series, like the Commissario Spada (Police Commissioner Spada), (1970-1982). 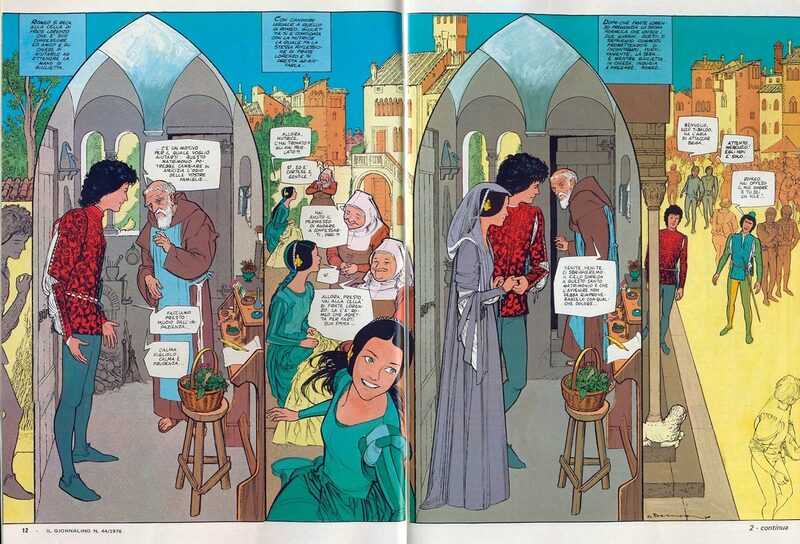 Masterfully detailed, the Shakespeare series (Hamlet, The Tempest and Romeo and Juliet) show his interest for the architectural environment (De Luca was a former architecture student), in which the buildings and the settings are never only backgrounds, but true characters of the story. 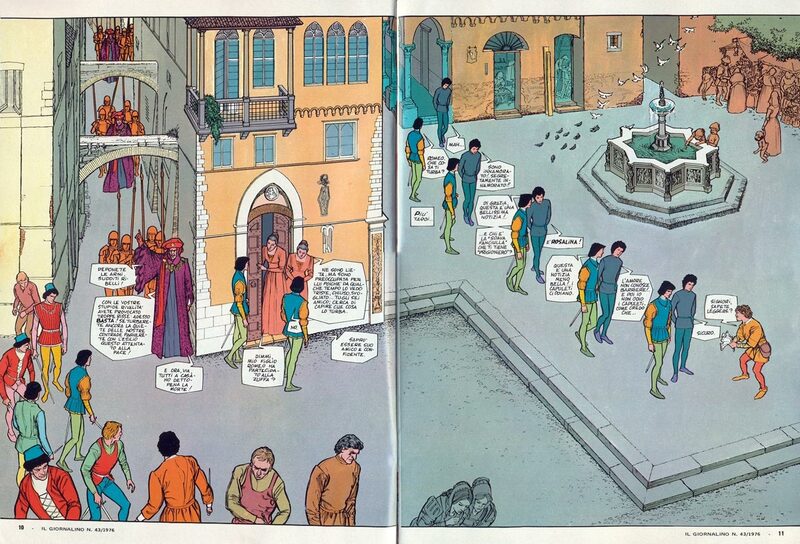 The descriptions of the movement and the passage of time are central in these dramas: the double page becomes a theatrical setting upon which the characters repeat and move. 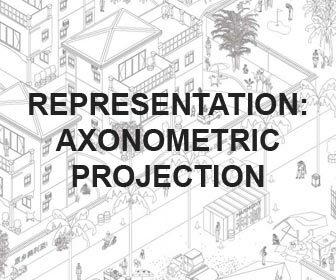 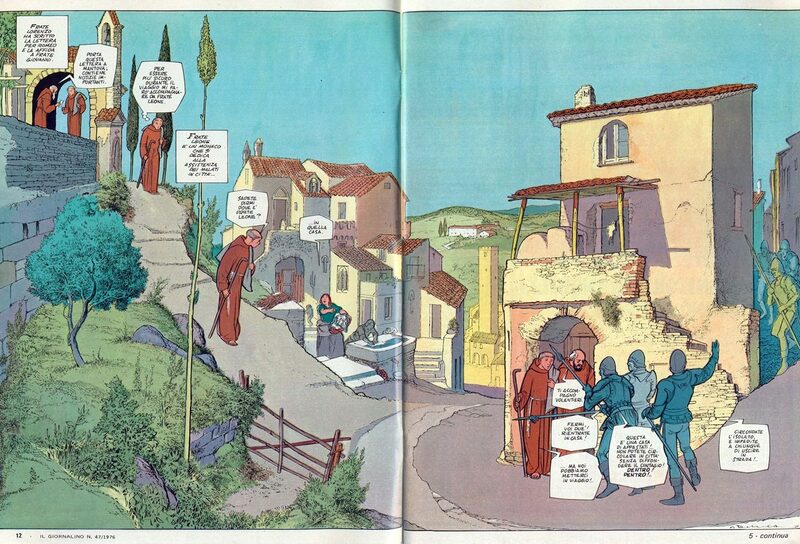 The classic vignette subdivision leaves room to the “comic as theater” device. 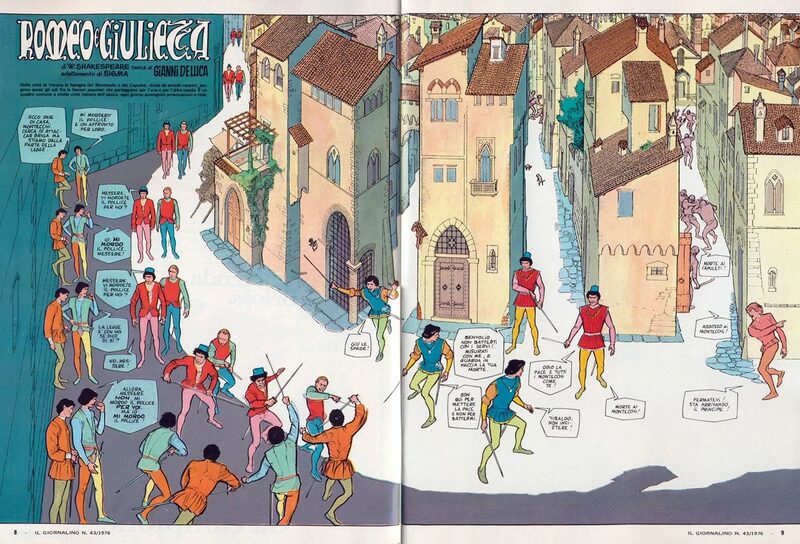 In this sense, the unity of the background to convey a synchronic narrative reminds of paintings by Giotto, or the processions portrayed by Gentile da Fabriano, the battles by Paolo Uccello or Scenes from the Passion of Christ by Hans Memling. 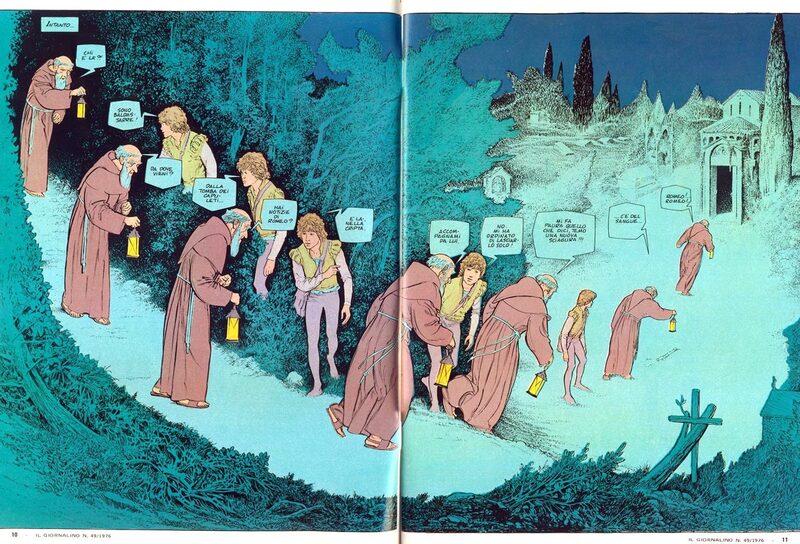 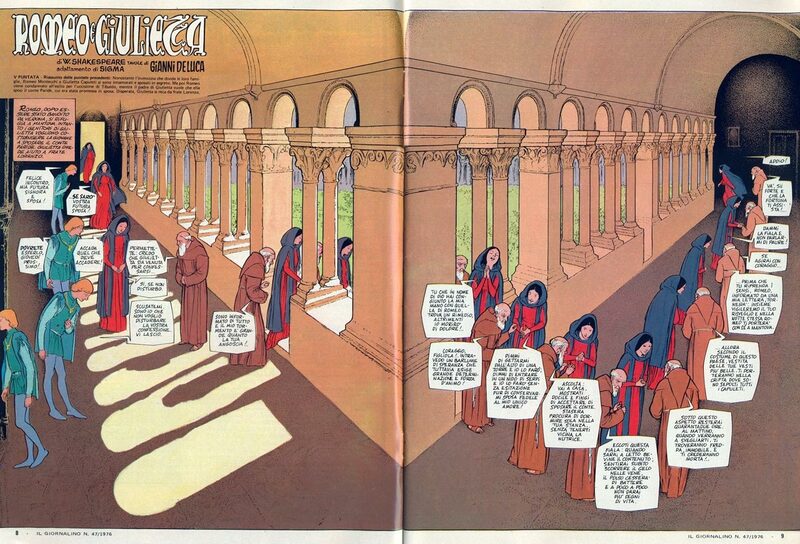 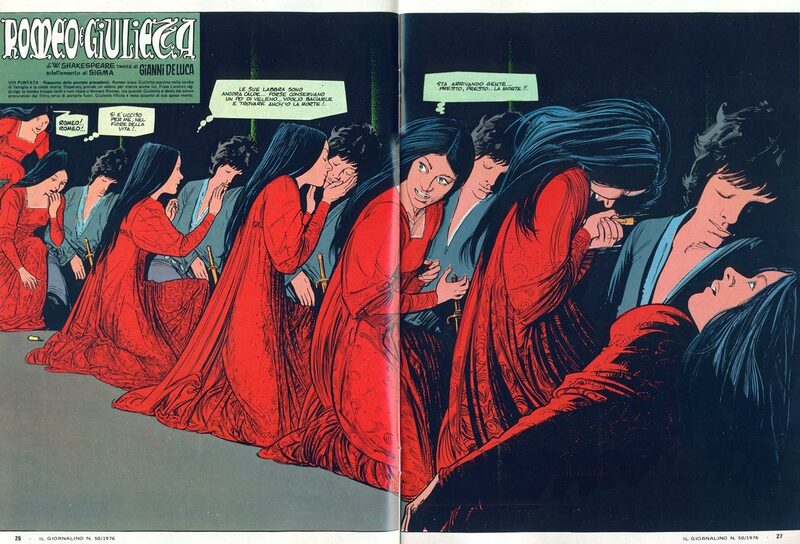 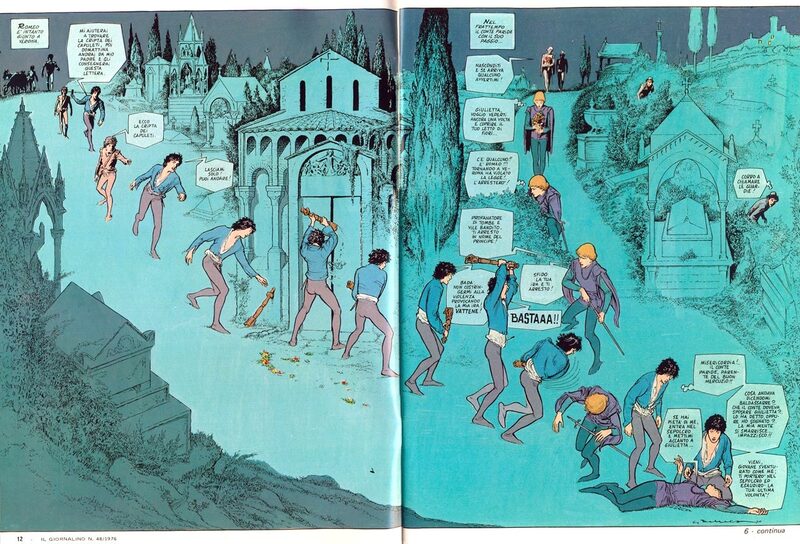 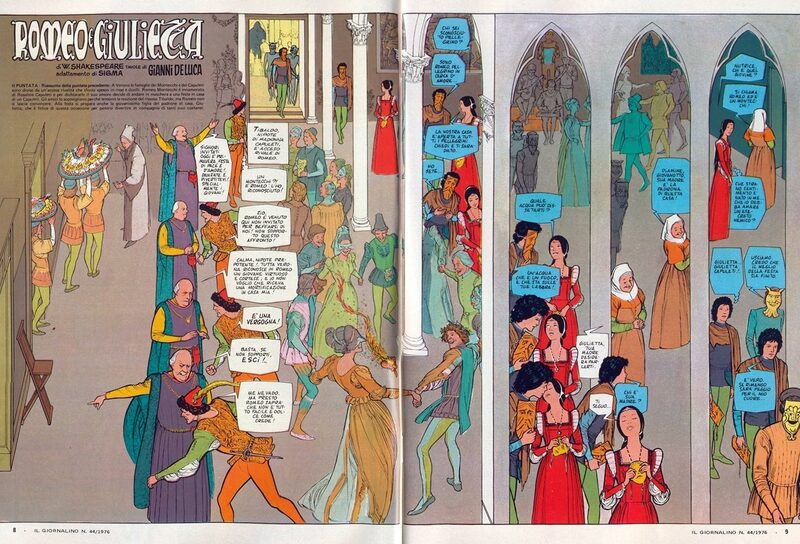 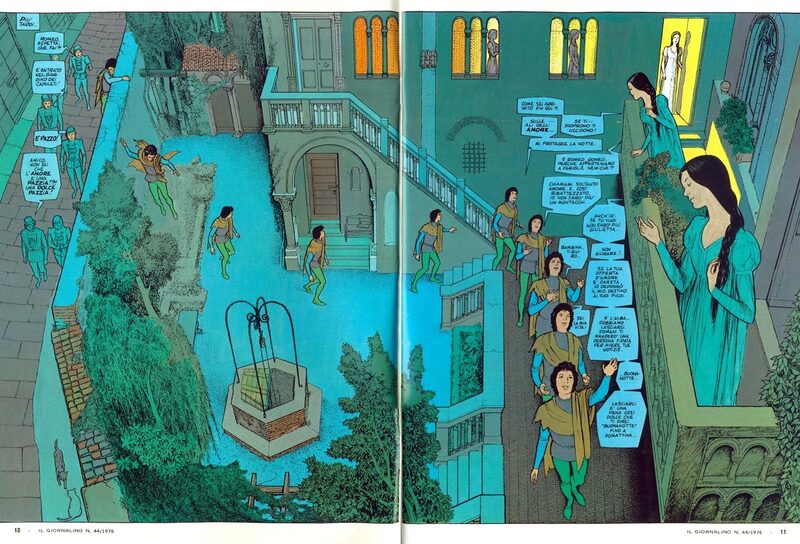 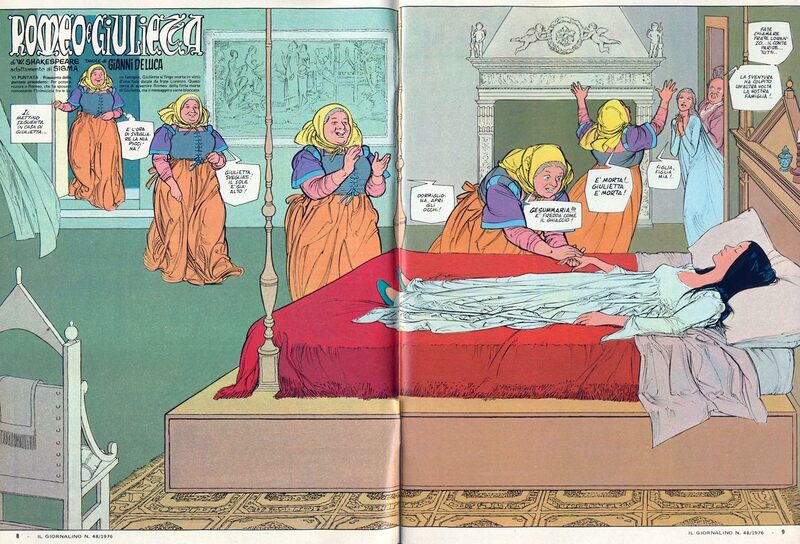 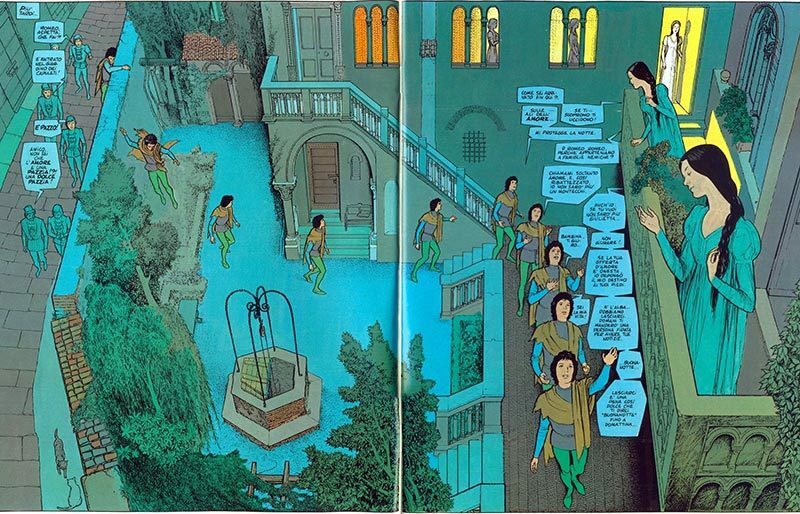 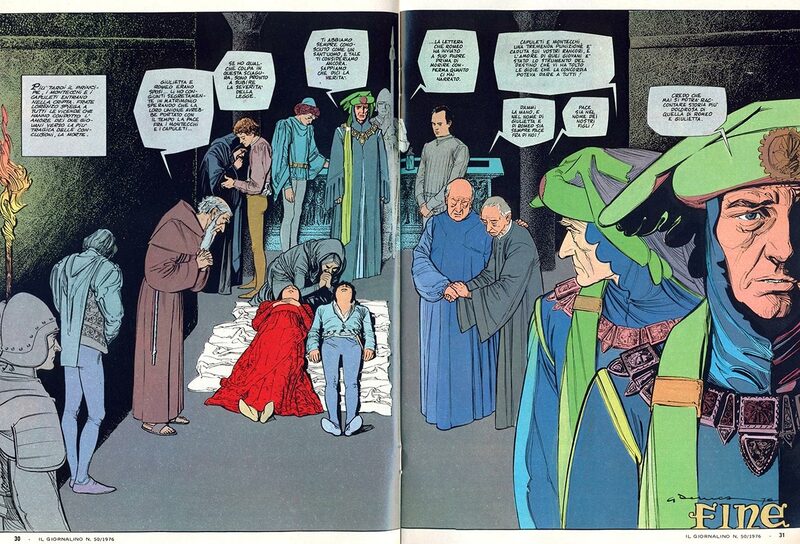 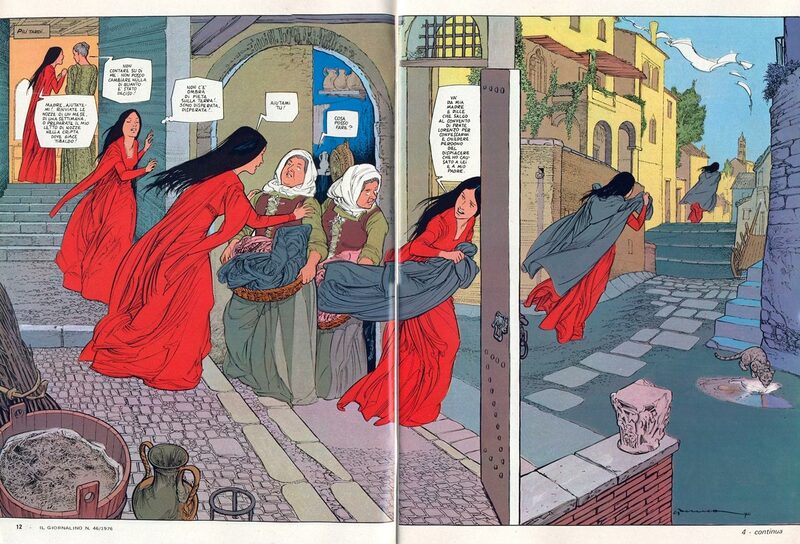 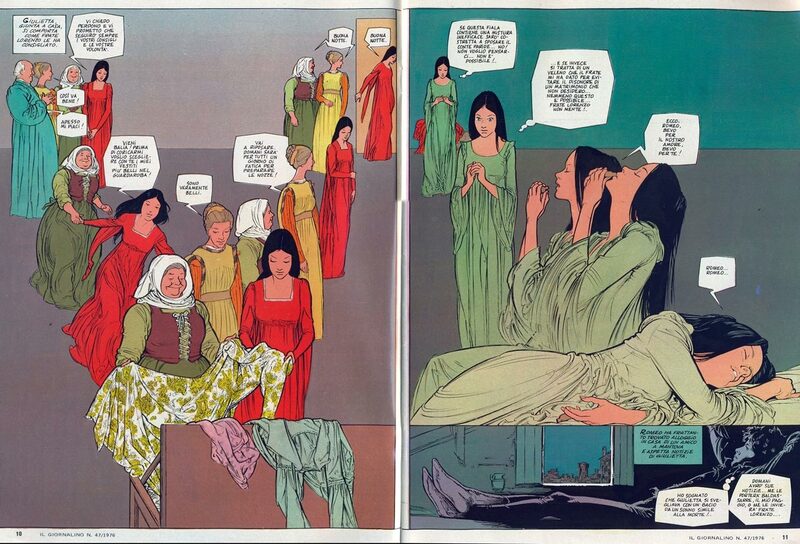 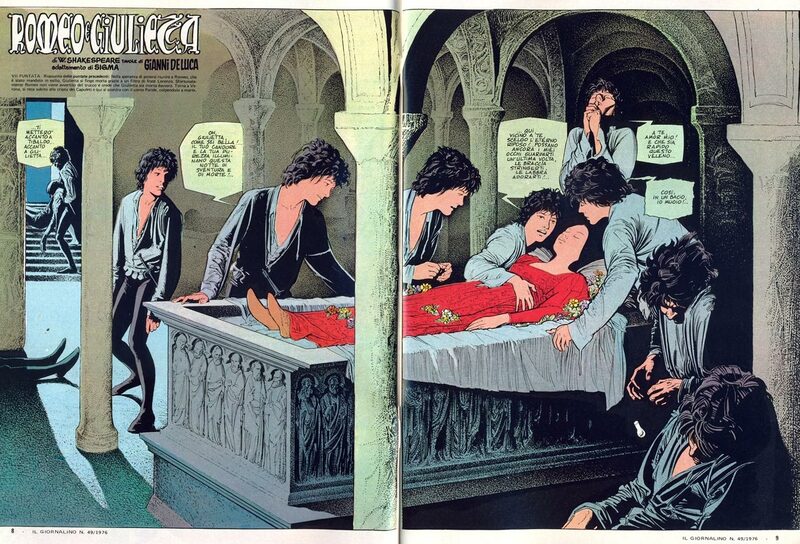 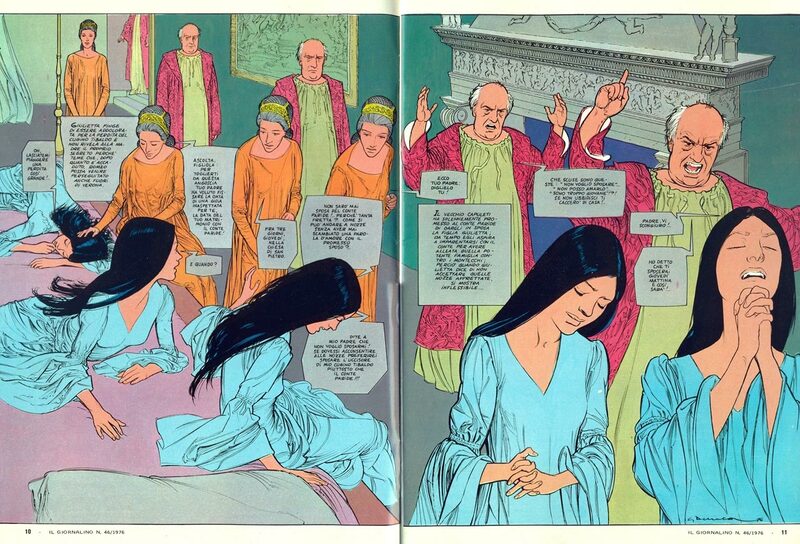 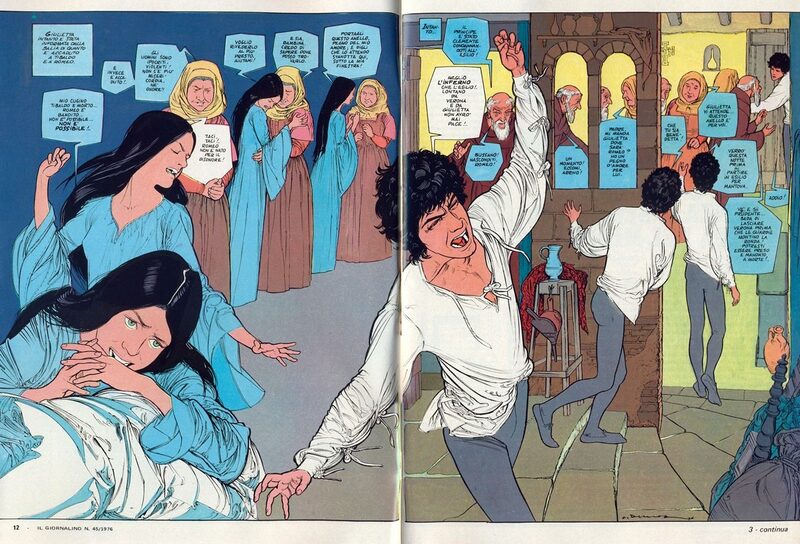 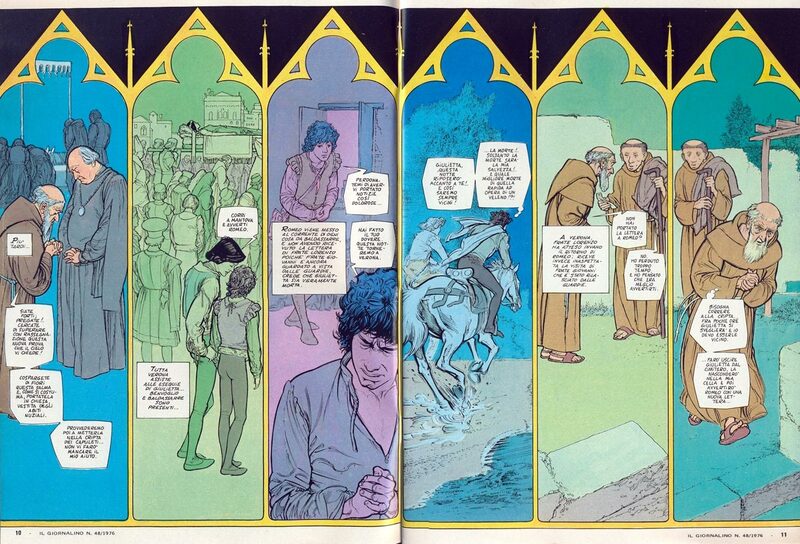 Gianni de Luca’s Romeo and Juliet has been originally published by Il Giornalino (some colorized boards reproduced below) and later (in B/W) by Alessandro Editore. 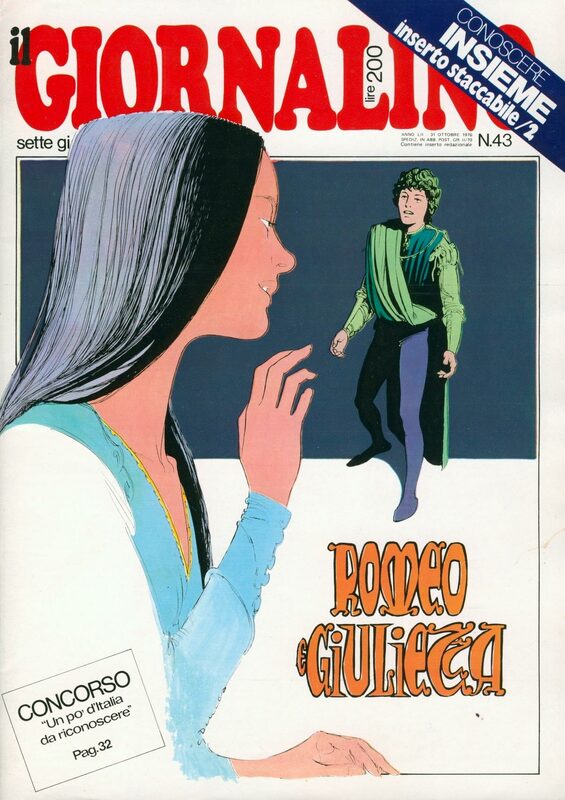 “il Giornalino” era una gran cosa. 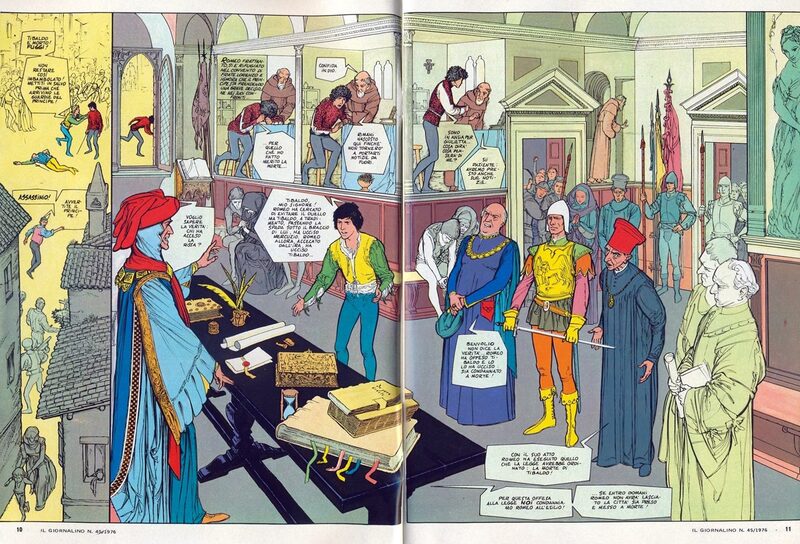 Ho trovato di recente i fumetti shakespeariani di De Luca in biblioteca e non vedo l’ora di rileggerli.